Notes: This is their aged version of an already excellent gin , (the unaged version is called Greenbrier ) Both are a different style of gin from the much more common London Dry style (click on above for info on Styles/Definitions of Gin). It is made in by a small company in Maxwelton, West Virginia. Fermented and distilled in house (this is NOT one of those outfits that use neutral grain spirits) they use corn, wheat and barley in a bourbon mash bill (recipe) as a base and then use a blend of the usual suspects of juniper, orange and lemon peel, cardamom etc., and distill in small batches. This already makes for a great gin, they however not content to rest on their laurels when ahead and produced this new gin in a way absolutely unique way to produce a unique gin. This endeavor was not an easy task and is well worth recounting to understand the unique and singular product they produced. First they sat art with their regular gin as it comes off the still and reduce it to 120 proof, they then age half in new charred oak bourbon barrels, the other half they age in used Old Scout Bourbon barrels both are aged for 3 months then reduced to 99 proof and then bottled. No one else ewe know of uses such a mix of wood to produce an aged gin. They also produce a white whiskey called Exceptional White Whiskey , a vodka called Whitewater Vodka which uses a bourbon mash bill (to give it more complexity/depth), a rye whiskey – Old Scout Rye, and a bourbon whiskey – Old Scout Straight. They use a copper potstill and are located on a limestone shelf – two prerequisites for excellent distilling. Appearance: Clear, bright, autumn leaf gold color shows the golden glint of an aged gin.a touch of oiliness/viscosity to the body, good long legs. When it is chilled it takes on a wonderful thick glasslike appearance even when shaken. First Impression: Juniper, citrus, and flowers bouquet in the nose with a hint of cardamom,oak, pepper, quassia and some nice slightly heavy and oily grain notes that give it more of a genever ,malted grain spin to it. Taste: Tastes more like a plush genever with almost a Old Tom sweetness at first blush, with the juniper, citrus, and a fruity vanilla and oak spice to it. A nice juicy body to it rather than a spare London Dry with a pleasingly oily presence with lots of oak vanilla, hints of leather and spice to provide a very complex taste. Hints of orange,citrus clove, vanilla, I’m tempted to use it to flavor a marmalade and put it on my morning toast. The grain body gives it a weighty, nicely thick full genever type body with the corn providing a slightly buttery and just a touch sweet note. Slightly dry long finish with the cardamom providing a nice lingeringly dry warming end but no burn. Smooth, a touch sweet start, and very seductive. Delicious! Drinks: We tried the gin in martinis, gin and tonics and a few more. It is wonderful as a martini with a twist of lemon or an olive. It has sufficient spicing and body to stand up to both. Great for an Opera, Maiden’s Prayer, etc., on the traditional London Dry drinks and smoothness and weight to tackle some of the Old Tom recipes if a touch on the dry side. It also functions well as a way to twist some traditional bourbon recipes such as a Manhattan or Old Fashioned with characteristics of a bourbon, a (genever) gin, and a malted whiskey. 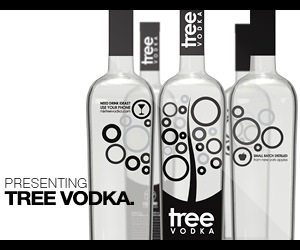 Bottle: Tall clear glass bottle with rounded shoulders shows the vodka to excellent effect. Nice heft to the bottle and a good grade of clear glass with nice decanter base so it is solid and hard to knock over. Name and trademark printed directly on a ¾ wrap around paper label. Inteeresting and various type fonts make for a distinctive look. Also lists handwritten batch and date numbers ( along with who bottled it). Black neck wrap with composite cork closure (what it lacks in character it makes up for in sealing – protecting the gin from cork taint and leakage. Final Thoughts: A complex, interesting gin in a that is a refreshing departure from the juniper vodka that people are trying to increasingly trying to pass off as gin. As we said more of an older genever or the original american style of gin (which was a genever grain gin type also) especially because it is barrel aged. 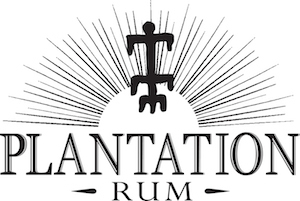 Well made, with a very well made bourbon mashbill base and good botanicals to create a full bodied, citrusy, smooth gin that has more weight and mouthfeel with a nice punch/push of botanicals. 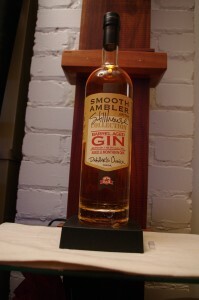 This is a top notch artisanal gin – better than some that cost a good bit more and is cheaper than many in the premium category to which it rightfully belongs with a lot more going on in the flavors. Sufficiently different for the gin phobic to enjoy and something for the gin lover to embrace. Good simple web site easy navigation, simple and straightforward. Need more information and updating. Their Facebook page is much more about to date if a bit to get through.